The future of applications depends on effective legacy modernization as much as innovation. This year’s Gartner Application Strategies & Solutions Summit 2019 will focus on these dual priorities, exploring the latest approaches to optimize existing applications and infrastructure as well as leading-edge technologies driving business transformation. Join us to leverage Agile, DevOps, APIs, microservices and more to take your application strategy to the next level. Interact with more than 1,700 of your peers to gain firsthand insight from those facing challenges similar to yours. 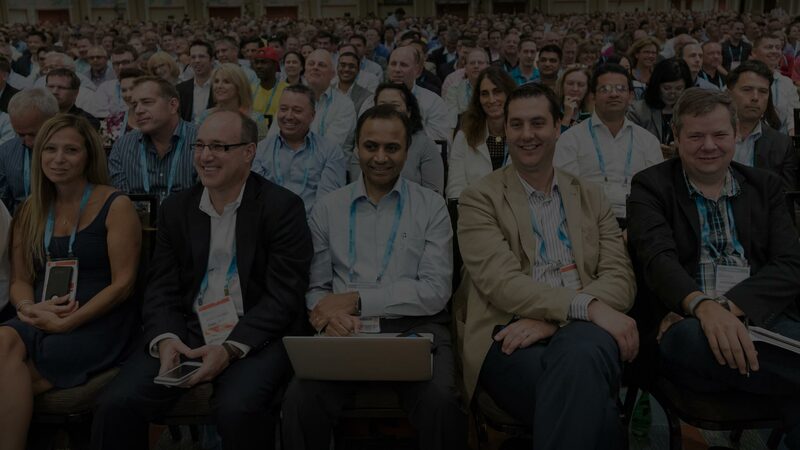 Pose tough questions to evaluate new methods with 60+ Gartner experts, guestspeakers and peers. We're preparing our 2019 agenda which will feature tracks designed to equip you for the next with unbiased content to enable legacy optimization and digital transformation. In the meantime, view assets, articles and more to give you an idea of what you can expect. View the 2018 brochure for a glimpse of how your top challenges will be addressed at this year's event and the experience that awaits onsite. Discover how to deliver exceptional results and develop in your role as an applications and IT leader. Smarter with Gartner articles provide you a snapshot of Gartner research and industry analysis to keep pace with the topics, technology and trends that impact your organizations' growth and transformations. View our infographic to map your path to success in your role and discover how to impact your organization. Ensure your role starts off — and continues — on the right foot.